Hard Maple Wood Engraving Blocks are Letter Press hight .918" thick. Price list, exact sizes, and to buy online. Maple End Grain Wood Engraving Blocks are sanded smooth for wood engraving. 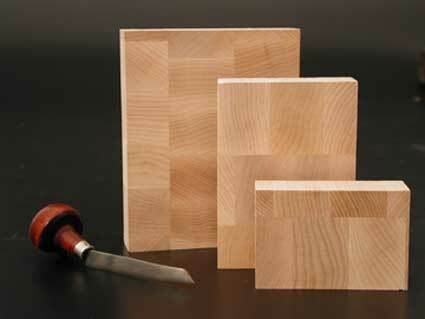 Custom size end grain wood engraving blocks are available from Art Boards™. 100% Guaranteed Satisfaction or full refund on All Orders. Any size art print can be archivally mounted and hung with or without framing by using Art Boards™ Archival Mounting Panels. Mounting Panels can be made in any size.